Imagine enjoying a near 30 acre ridgetop estate with level usable land, equestrian friendly with corral, barn, pond and dock, studio, workshop, meadows, separate living home and orchards. 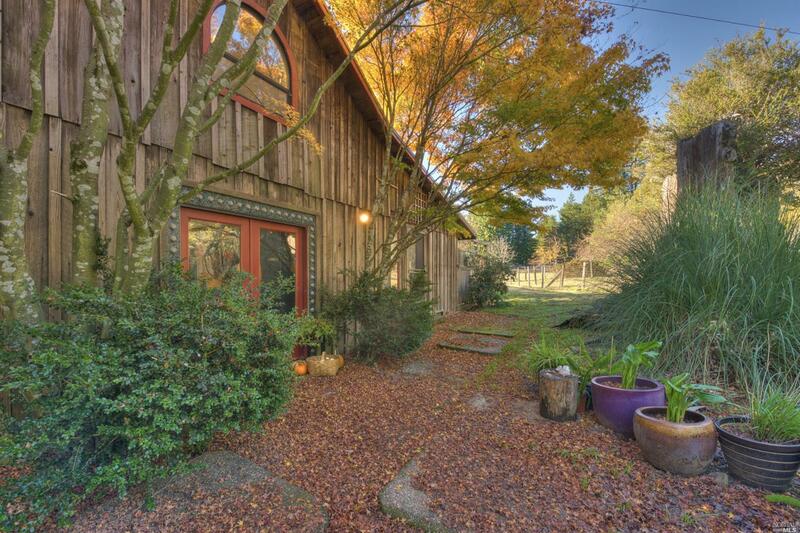 Main home has character, old redwood siding, large chef's kitchen with attached dining overlooking large pond, spacious and light filled, one bedroom with upstairs studio space. Two other living spaces are fixers with tons of potential. Property sold AS-IS. Kitchen: 220 V Wiring, Breakfast Area, Gas Range Incl., Island, Pantry, Refrigerator Incl.